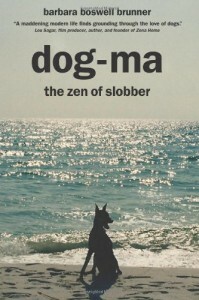 Dog-Ma, The Zen of Slobber. As a dog lover you probably identify with that title and if you don’t, you’re at least likely to identify with one of the canine cast of characters in this super-packed book. Author Barbara Boswell Brunner’s book definitely targets dog owners by weaving amusing anecdotes of the life she and her husband, Ray, shared with numerous canine companions over the course of their courtship and marriage. Nine dogs of their own and many canine friends grace the pages of this book, each portrayed as a person in his or her own right. The book is full of laughter and tears as Boswell Brunner shares her dogs’ antics and sadly the heartaches of some. To me it is in these tender moments that Boswell Brunner’s writing is not only at its most poignant, but also at its best. 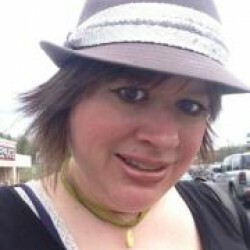 Yes, she knows how to weave an amusing tale – who will forget her dobie's tampon ear supports, Cooper’s toy Horton emitting its endless chatter, her Turbo strolling an upscale neighborhood with a goat? These are wonderful, funny stories, but when Boswell Brunner turns to the sensitive her writing truly moves me. I love her homage to Madison – “She saw the silver lining in every bad situation. Madison was an optimist. Madison was loved.” Beautiful. No doubt readers will have their favorite characters – mine was Cooper and I would recommend this book just to hear about his antics with his stuffed toy, Horton, which called to mind my own dog, Vader. Other readers will certainly find their pets amidst these pages. My primary disappointment with the book is that Boswell Brunner didn’t take us deeper into her own life. Yes, we are privy to the couple's moves and career evolution and she offers us glimpses into deeper fare such as her cancer and a mother-in-law with Alzheimer’s, but she doesn’t dwell there long and I think the story would have been richer if she had. I have a feeling Boswell Brunner is a good enough writer to go there if she wants to, to fill out the details of her own life with as much heart, humor and soul as she brought to the dogs. I think in a second book, she should try doing just that. Still, there is much here and enough plain old good dog stories to make any dog lover smile.